Home Flight Operations 3-2-1 Contract! Many owners, unable to find a permanent crew due to the pilot shortage, are turning to contract pilots. Others find that they prefer them. But even if you use contract pilots only when your own pilots are in recurrent training or on vacation, be aware that the rules are changing. What will it take to hire contract pilots in the days ahead? Most contract pilots charge daily rates for the actual flying, travel time to and from the aircraft, and layover days. While some charge for travel time and layover days at different rates, many charge the same daily rate as for flying. They maintain that their time has value, whether or not they are positioning themselves to and from a flight or in a hotel during layover days. Contract pilot rates for business jet aircraft have been escalating gradually for the last ten years. In 2008, they earned from $850 to $1,000 a day for domestic trips, and $1,000 to $1,200 for international trips. Today’s rates start at $1,200 a day for domestic trips, with some pilots charging as much as $1,750 a day for international trips. It’s likely that these rates will continue to increase. Here’s why. The benefits associated with being a full-time contract pilot are compelling. They can control their schedules by accepting or rejecting trips, which improves the “quality of life” aspect of flying increasingly important to today’s younger pilots. But the downsides include: no regular paycheck, responsibility for training expenses ($30-$50,000 a year), health insurance, workers compensation, and liability coverage ($30-$40,000); plus payment of the full FICA tax at 15.3%. 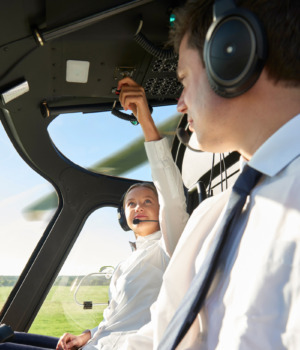 Interestingly, some contract pilots roll the dice when it comes to insurance, which can be problematic both for the pilot and the aircraft owner/operator should a claim arise. So what are the actual economics of being a full-time contract pilot? A pilot charging $1,200 a day, who flies 15 days a month or 180 days a year, could earn a gross annual income of $216,000 a year. Given the estimated expenses above, that equates to an average pre-tax income of approximately $121,000. Assume that the contract pilot has a non-exclusive anchor client who agrees to pay for his or her training in exchange for a commitment of 10 days a month, at a discounted rate of $1,000 a day. This payment is made monthly whether the pilot flies or not. So that pilot forfeits $24,000 in income, but saves $50,000 in training expense, which nets another $26,000. This pilot flies 120 days a year for $120,000, and another 60 days a year for $72,000, for a total gross income of $192,000. Now the pre-tax income jumps from approximately $121,000 to $147,000. A pilot willing to give up some quality of life, flying 200 billable days a year, could gross $240,000 a year. Minus expenses and taxes, the net could be approximately $144,000. From an employer’s perspective, using contract pilots can be advantageous. Companies with healthy benefit packages may pay as much as 30% overhead on a pilot’s annual compensation. So employing one permanent, full-time pilot for $150,000 a year actually costs $195,000. Depending upon your company’s needs, using contract pilots for upwards of 120 days a year could net savings of 26% in labor costs. But be mindful of the pitfalls of using contract pilots who are not properly trained or insured. Exercising due diligence is critical for both the company and the contract pilot.